Matthew O'Byrne | Casarino Christman Shalk Ransom & Doss, P.A. 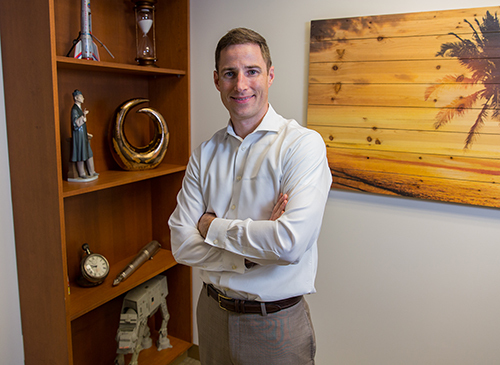 Matthew O’Byrne is a Native of New Jersey and is the Managing Director of the firm. Mr. O’Byrne attended the University of Delaware, where he served as Vice President of the Golden Key National Honor Society. He earned his B.A. in Criminal Justice, with a minor in History, in 2000. Mr. O’Byrne studied law at Rutgers School of Law — Camden and received his J.D. in 2003, and was admitted to the Bar of the State of Delaware in 2003. 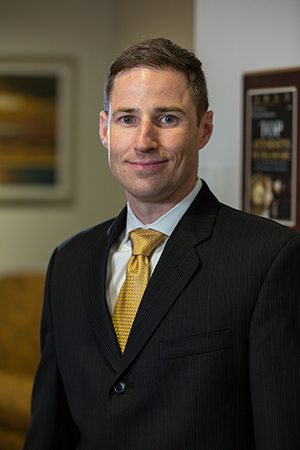 While in law school, Mr. O’Byrne served as an extern for The Honorable Gregory M. Sleet of the United States District Court for the District of Delaware. Mr. O’Byrne also served as a legal extern for the Delaware Attorney General’s office. While in law school, he received the Don F. D’Agui, Esq. Memorial Award for Demonstrated Excellence in the Law of Torts, was a semi-finalist in the law school’s Hunter Moot Court Competition in appellate advocacy, and served on the Rutgers Pro Bono Bankruptcy Project. Mr. O’Byrne also serves as a panel hearing officer for the Delaware Department of Insurance. In this capacity, Mr. O’Byrne hears and rules on various disputes between insurance carriers and their insureds. He also serves on the board of directors for the Defense Counsel of Delaware. The Defense Counsel of Delaware works to promote integrity, justice, and professionalism in the justice system by bringing together Delaware attorneys dedicated to the defense of civil actions. The firm is pleased to welcome Mr. O’Byrne to his newest role as the elected Managing Director for the firm. © 2019 by Casarino Christman Shalk Ransom & Doss, P.A. All rights reserved.